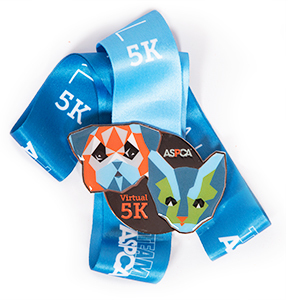 This Fall, Basil Hayden the Dog and I will be participating in the ASPCA 5K! We excited to be participating and honored to be raising the awareness and the much needed funding to support the ASPCA's programs. Your donation will help the ASPCA provide life-saving programs and services to millions of animals nationwide. As many of you may know, supporting organizations that rescue animals are very important to us and we appreciate your help as we fight to give abused and homeless animals a second chance at life. Please support us by making a donation and help us make a positive impact in the lives of animals! By the way, donations made directly to our fundraiser page are 100% tax deductible. Donations made online will recieve a reciept that can be used for tax purposes and will be emailed to you promptly. It's win win! Help the animals and yourself. Thank you with Big Dog Kisses!